Pig tutorial provides basic and advanced concepts of Pig. Our Pig tutorial is designed for beginners and professionals. 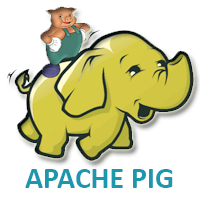 Pig is a high-level data flow platform for executing Map Reduce programs of Hadoop. It was developed by Yahoo. The language for Pig is pig Latin. Our Pig tutorial includes all topics of Apache Pig with Pig usage, Pig Installation, Pig Run Modes, Pig Latin concepts, Pig Data Types, Pig example, Pig user defined functions etc. Before learning Pig, you must have the basic knowledge of Hadoop. Our Pig tutorial is designed to help beginners and professionals. We assure that you will not find any problem in this Pig tutorial. But if there is any mistake, please post the problem in the contact form.